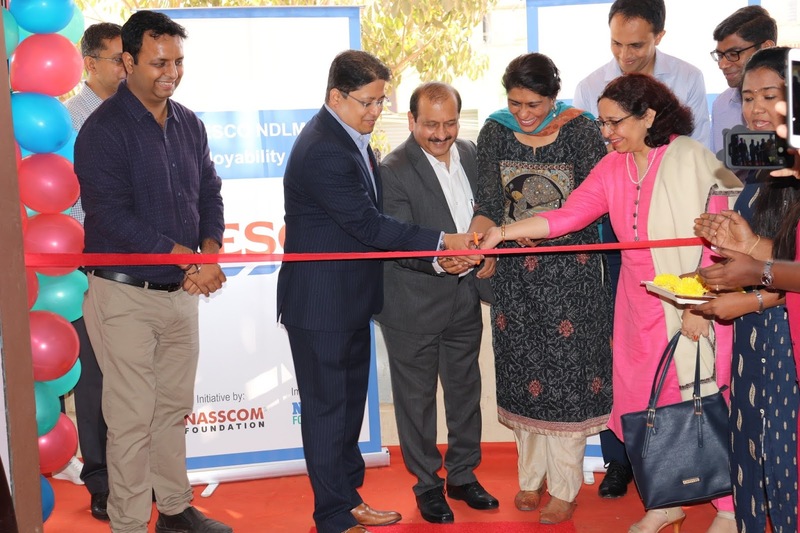 Tesco Bengaluru inaugurated its maiden Community Development Centre (CDC) at Immadahalli, Whitefield today in collaboration with Nasscom Foundation and welcomed the first batch of students. This is the first such initiative undertaken by the two partners to enhance opportunities for employability of youth from disadvantaged communities. In addition to the skill-based training, the Centre will also support the students with placement opportunities in IT/ ITES/ retail sectors. Designed according to the curriculum proposed in National Digital Literacy Mission, the programme at the newly inaugurated centre is curated with modules such as English language training, personality development, vocational training, data entry, accountancy and Business Process Outsourcing under three verticals – Career Courses for students between 17 to 30 years of age, Skill Courses, and Digital and Financial Literacy modules for students who are 14 years and above. Commenting on the launch of the Centre, Dr. Sumit Mitra, CEO – Tesco Business Services & Tesco Bengaluru said, “As a leader in the retail space for over a 100 years, Tesco has always prioritized community outreach and development of future generation. At Tesco Bengaluru, education is the one of the focus areas of our CSR programme and we are creating and enhancing opportunities for youth to improve their livelihood through skill building & training programmes. In line with the CDC’s focus on delivering skill based training, the first batch comprises of 12 – 15 students to maintain a fair student-teacher ratio. With the opening of the CDC, Tesco Bengaluru and NASSCOM Foundation hope to also enrol girl students from the communities who can equally benefit from the programme. At the start of the programme, Learning and Development experts will match each candidate’s strengths with their future aspirations and enable them to choose courses that will enhance their job readiness. Upon completion of the course, Tesco Bengaluru and NASSCOM Foundation will jointly issue a certificate to eligible candidates and arrange for placement opportunities through participation at job fairs. The partners will also provide post-placement support to the beneficiaries if required.